Marina management software is used by boat dealers, marina management companies, and boatyards to manage their or their customers’ boats, as well as activities such as rentals, repairs, and maintenance. 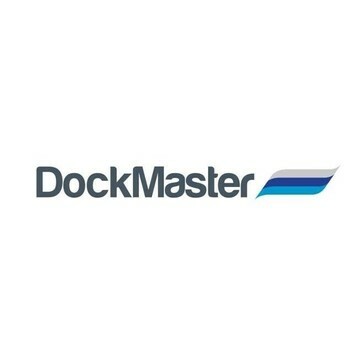 By using marina management software, companies can optimize dock utilization, increase customer satisfaction, and manage assets. Furthermore, marina management solutions provide features to enhance security for employees and customers, as well as the boats managed by marinas. Since not all marina management software solutions deliver functionality for boat dealers, some of them prefer to integrate with this type of solution. Other solutions focus exclusively on marina management and integrate with back office features such as accounting or CRM. HMS Enterprise Edition is intended for mid-size to large marinas. The Enterprise edition offers an extensive range of features to assist in running every aspect of your business. HavenStar is an enterprise Marine Management System ideally suited for managing multiple sites in different geographical locations, offering full multicurrency transaction processing and reporting, and able to link with a wide range of accounting systems. InfoMarina is a software that runs under Windows, specifically designed for reservations. It allows visualizing all of your reservations and free time in graphic form. Marina Ahoy is a point of sale for leisure harbors. ​The tool combines occupancy overview with harbor specific invoicing and customer self-service apps. ​​ No need for additional software. Marina Master is a complete software solution for marina management that offers services for reception and cash desk work, currency exchange, guest registration etc. MarinaWare adapts with internet capabilities, the digital era creates the opportunity for real-time, online reservations and payments. SDSD provides online fleet management software and IT services to Tankers, Bulk Carriers, Containers, Ferries, Cruises, OSV, PSV, AHTS, Heavy Lift, Yachts and Barges. Hi there! Can I help you find the best Marina Management solutions?